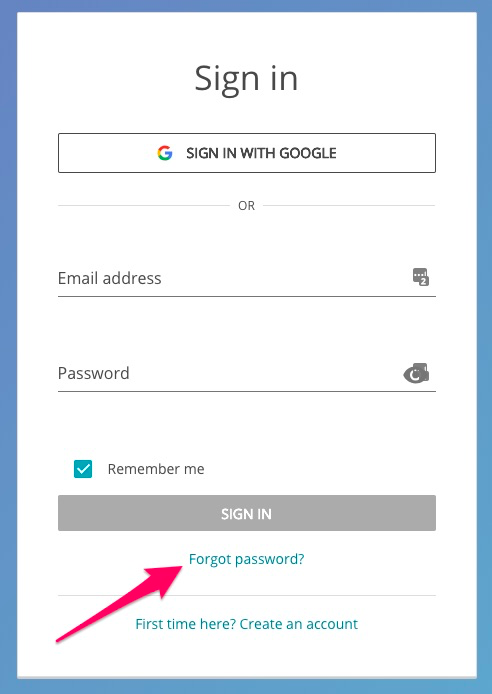 Click “Forgot Password?” on the login page and enter your email address. Click "Send Password Reset Link" and you'll receive an email with a link in your inbox. Once you click on this link or copy and paste it into your browser, you will see the page to reset your password and will then be able to login.